Listed below are details on the ongoing US and international opportunities that we are aware of. Also listed is the current schedule of upcoming disaster relief certification training offered by the Georgia Baptist Convention. If you are interested in serving in the disaster relief ministry, check out the links below or contact the Missions Coordinator for assistance. 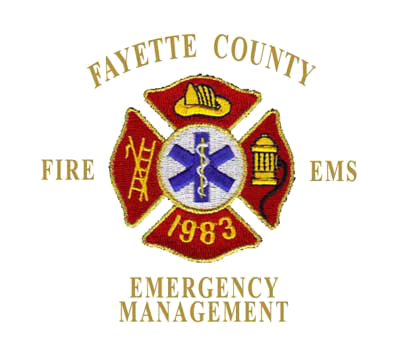 The Fayette County Emergency Management Agency is actively seeking volunteers who are willing to assist in the community in the event of a natural disaster. The initiative they created is called the Faith-Based Disaster Network, and its purpose is to better coordinate the many individual volunteers and faith based organizations that are willing to assist their communities during times of disaster. Volunteer teams being formed now, and free training is provided to those who wish to participate. Volunteers can choose from one (or more) of the 10 Volunteer Support Teams that have been established. Once trained, your name will be placed on that team’s volunteer list. In the event of a disaster within Fayette County, you will be called to help if needed. There is no obligation or commitment. Volunteer Management Team. Establish volunteer reception centers, track volunteers, and coordinate with other faith-based organizations. Debris Cleanup Team. Assist homeowners with debris removal from private property. Damage Assessment Team. Assist Fayette County Tax Assessors office in conducting damage assessments in disaster areas. Points of Dispensing and Distribution Team. Open and run points of distribution for pharmaceuticals, ice, water, clothing, and other supplies. Disaster Counseling Team. Consoling and counseling disaster victims. Shelter Management Team. Work in pre-established shelters operated by the American Red Cross. Communications Team. Certify as an amateur radio operator to assist county communications. Donated Goods Management Team. Manage and organize donated goods that are provided by community citizens. Animals in Disaster Team. Assist with housing, sheltering, and support for animals that are not allowed in emergency shelters. Special Skill Sets Team. Volunteers with various skill sets that may be useful in a disaster. For more information on how you can get involved, contact the Missions Coordinator. Since 1983, Samaritan’s Purse has mobilized thousands of volunteers to work with their Disaster Relief Teams to provide emergency aid to disaster victims in the United States. Volunteers should be prepared for manual labor to include home repair, construction and/or clean up. Volunteers must be 14 years or older. For volunteers who are 14 or 15 must serve alongside their parent or legal guardian. Volunteers 16 or 17 years of age may serve with an adult chaperone. For more information, and to see a listing of ongoing projects, see the Samaritan’s Purse Volunteer Network home page. 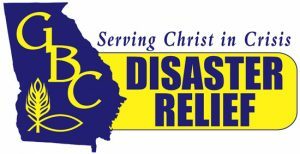 The Georgia Baptist Convention Disaster Relief ministry offers volunteers a unique opportunity to demonstrate the love of Jesus Christ by serving and ministering to those who are the victims of disaster. If this is an area that you think you may be interested in, you are encouraged to attend one of the GBC’s “Introduction to Disaster Relief Training” sessions to find out more. In order to be certified as a GBC volunteer, you must attend this training, as well as Phase I hands-on training in one of the five ministry areas – Chaplaincy, Child Care, Clean-Up and Recovery, Communications, and Feeding. Phase 1 training sessions are held each January, February, and March in preparation for the storm season. For more information, and to see their schedule of upcoming training, see the GBC Disaster Relief home page.